With the warm summer days, unfortunately also come insects. Every year, millions of Americans battle with ants that insist in staying for the season and crawl all over their homes. If you are one of them, read this article before loading your house with heavy chemicals and take a look at the natural solutions you can try. Flour, sugar, and paprika can all fall prey to ants. Keep these cooking essentials safe by slipping a bay leaf inside your storage containers. If you're concerned about the flour or sugar picking up a bay leaf flavor, tape the leaf to the inside of the canister lid. This trick works inside cabinets, too, where sachets of sage, bay, cinnamon sticks, or whole cloves will smell pleasant while discouraging ants. carbonate in the chalk, which is actually made up of ground-up and compressed shells of marine animals. Scatter powdered chalk around garden plants to repel ants and slugs. Flour - Sprinkle a line of flour along the backs of pantry shelves and wherever you see ants entering the house. Repelled by the flour, ants won't cross over the line. Lemon Juice - First squirt some lemon juice on door thresholds and windowsills. 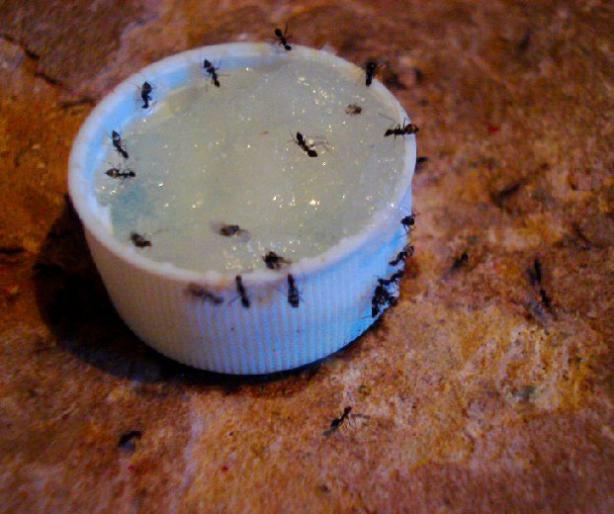 Then squeeze lemon juice into any holes or cracks where the ants are getting in. Finally, scatter small slices of lemon peel around the outdoor entrance. Ants don't like the citrus smell and will stay away from your home. Pepper - Two or three of your annual summer visitors have invaded your kitchen. Those ants are looking for sugar. Give them some pepper instead. Cayenne pepper sprinkled in spots where the ants are looking, such as along the backs of your counter-tops or on your baseboards, will tell them that no sugar is ahead. If you find the ants' home colony a little too close to yours and it is causing them to relocate to your kitchen, pour the pepper down the ant hole and say so long to ants. Vinegar - Wipe down your counter-tops, cupboards and any other places where you've spotted ants with a 50-50 mixture of white vinegar and water. Repeat throughout the day to maintain the efficacy. Ants hate the smell of vinegar, and it also removes the scent trails that they use to get around. If the tips above don't solve the problem with ants in your home, look for professional help. Call your management team and report the problem so that they can inform other residents and provide you with the contact information of a professional you can trust.